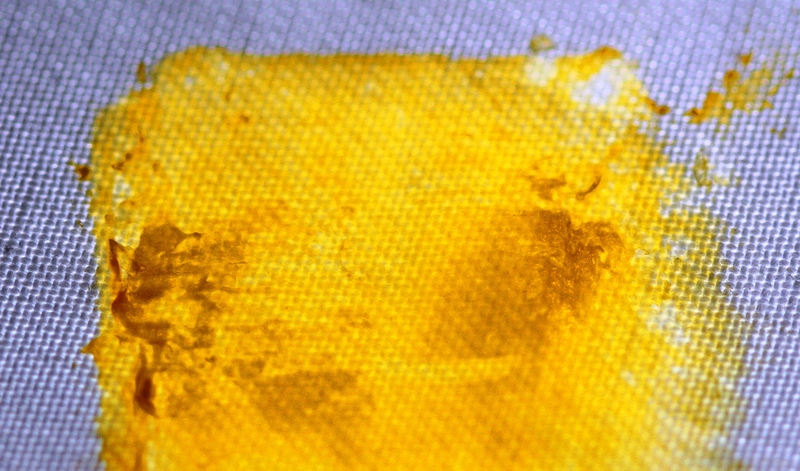 A BioTextile impregnated with Mycobacterium vaccae. 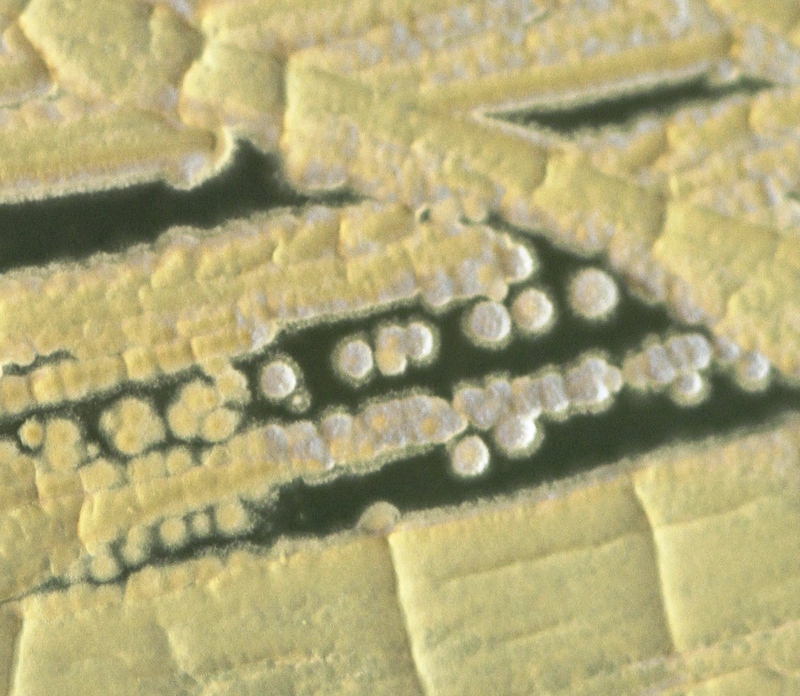 Streptomyces griseus, a Streptomycin producing bacterium. On the morning of 23rd August 1943 Albert Schatz sat at his workbench and opened is notebook. On page32, in his meticulous cursive he entered the title of his new experiment “Experiment 11. 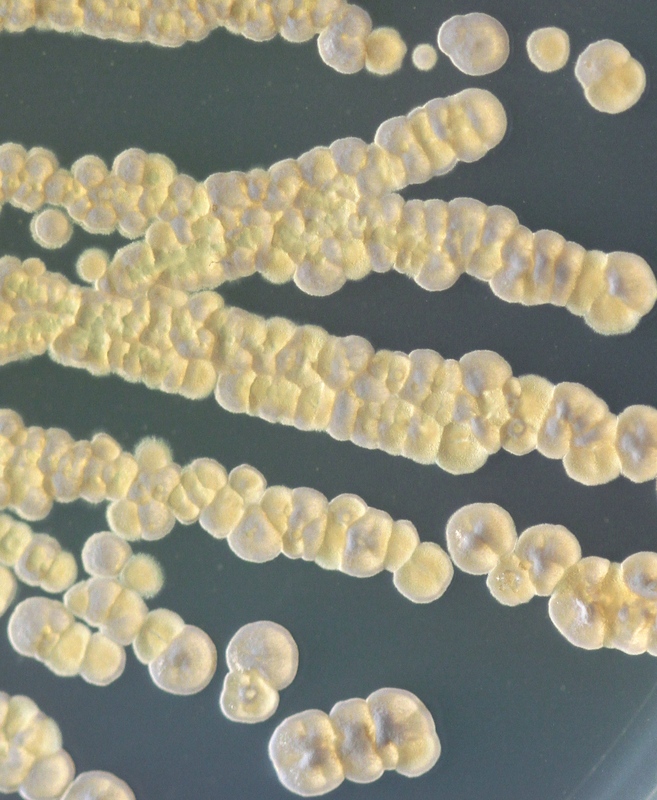 Antagonistic Actinomycetes”. This was to be a key experiment in the discovery of Streptomycin, the first antibiotic that was to prove effective against tuberculosis. Unfortunately for Schatz, his PhD supervisor Selman Waksman, mounted a vigorous and rather unpleasant campaign which led Waksman, and not Schatz, being awarded Nobel Prize for the discovery in 1952, and also through this, he managed to eliminate the PhD student’s role as a co-discoverer from the history books. 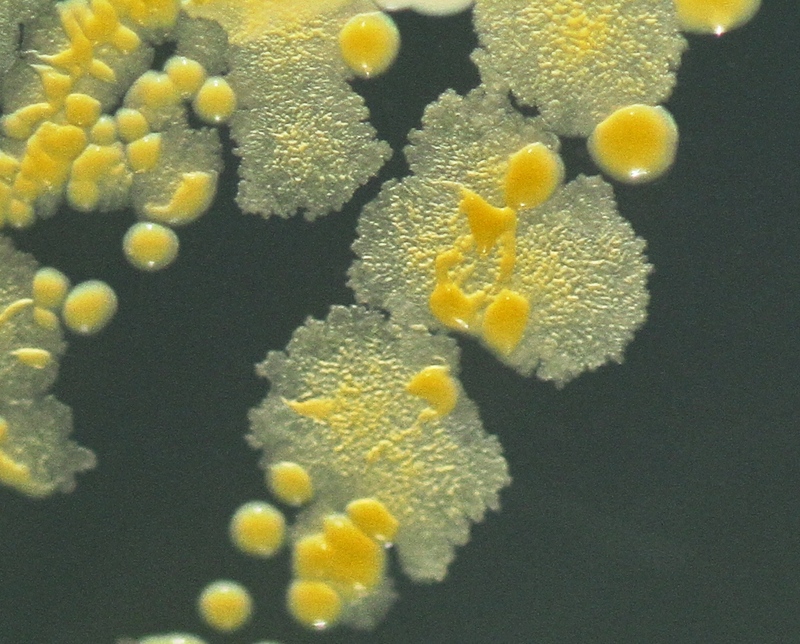 These are the early steps for a new work of the same title as Schatz’s key experiment that will use the same bacteria used in his work, namely the Streptomycin producing bacterium Steptomyces griseus and a harmless strain of Mycobacterium. The work will reflect antagonism both within, and far outside of the Petri dish. Arghhhh, the ego’s power over common human decency and respect shows itself again. Agreed. Sadly this pervades many of our endeavours and not just science.